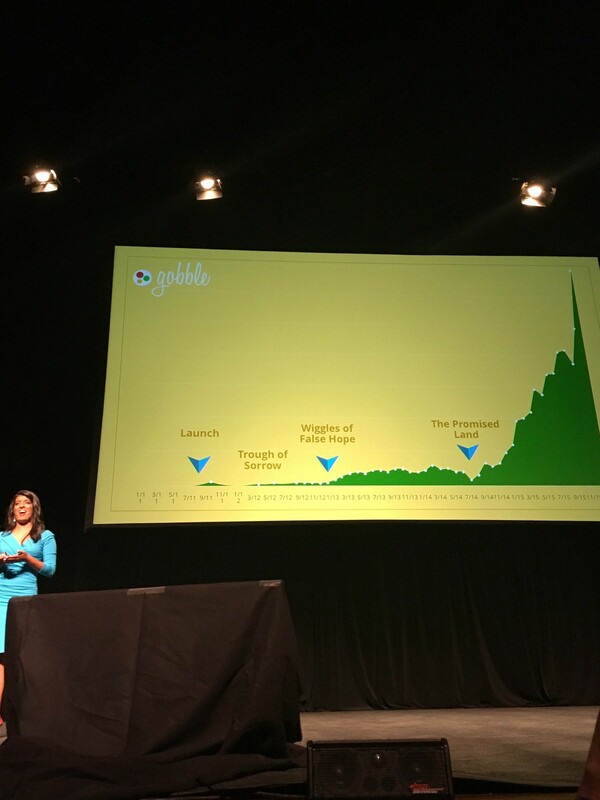 The other weekend, I spent my Saturday getting a startup crash course from successful founders including Ooshma Garg founder of Gobble, Ben Silbermann founder of Pinterest, Chad Rigetti Founder of Rigetti Computing. Followed by getting as close to YC as you can get with out going through YC. We watched actual office hours with Qasar Younis and Kevin Hale and ran through pitch practice with Sam Altman and Paul Buchheit. Finishing with an inside look at how venture capitalists (VCs) think from Marc Andreessen founder of A16Z, Reid Hoffman of LinkedIn and Greylock. · Take 10 minutes today and think about the company you want to join or found. You might find you need to do the thing that calls to you. Something worth spending our life on. 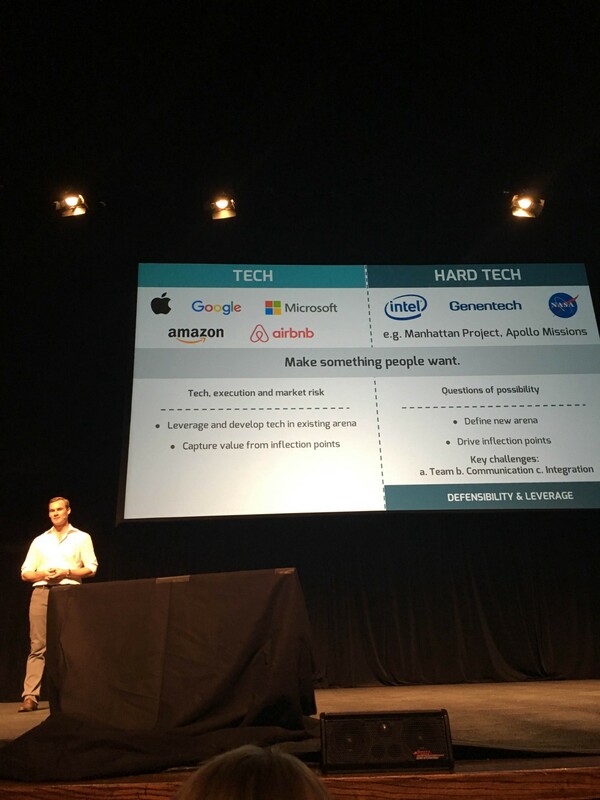 · Why is this going to be a billion dollar company? · Warm referrals are needed. Get an intro by someone you’ve worked with before that the VC knows and trusts. At the end of the day the Y Combinator partners came on stage to answer questions from the audience that we had emailed in earlier. I had asked what effect it had if you applied to multiple YC sessions. It validated me and my desire to apply again and again until I get in. I hope, with each application I can get my startup better and better. I found the application online and filled it out with my idea du jour, software to eliminate employees filling out timesheets. The acceptance email was the first positive news I have heard from Y Combinator. I remember getting the email, immediately a wave of possibility washed over me followed by the slight terror that my startup was just an idea, not yet a company. Would I be able to hold my own among the other founders? I convince my boyfriend to create a demo for my idea Bye Time Sheets and pulled the trigger on making business cards for myself. I designed them myself using InDesign and printed them at FedEx for $33. After making the demo I woke up on Sunday thinking about Bye Time Sheets, it was fun and exciting. I normally do really well in social situations exuding confidence and making everyone feel included. For some reason, leading up to Startup School I felt some imposter syndrome coming on and was worried about snakes. I fought off the snakes and I arrived, it went wonderful. I got there early and immediately got in line to get registered I was the 6th person to walk into the auditorium and secured a seat in in the center of the second row. 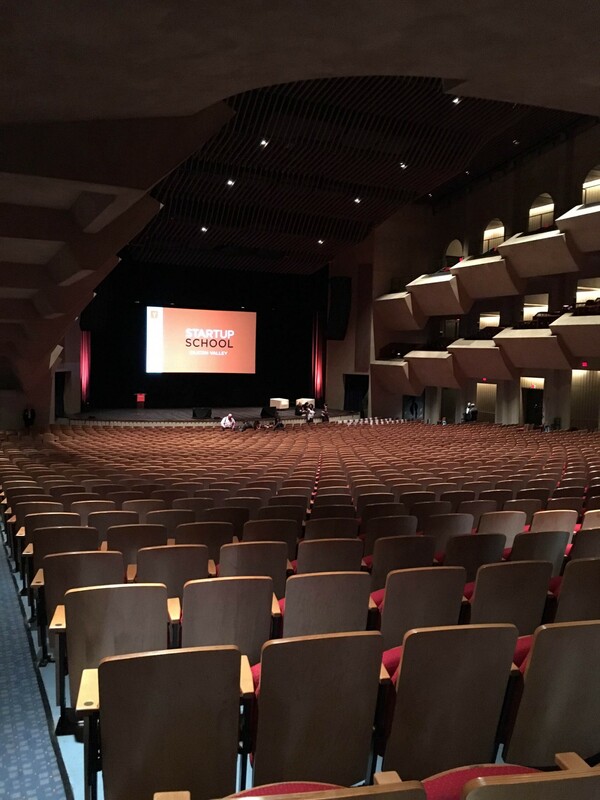 I watched the auditorium fill up with founders. You could feel the energy building in the room. It dawned on me that the next Steve Jobs was likely in the audience. I plan to try to meet up with as many people as I can from Startup School so we can continue to learn together. 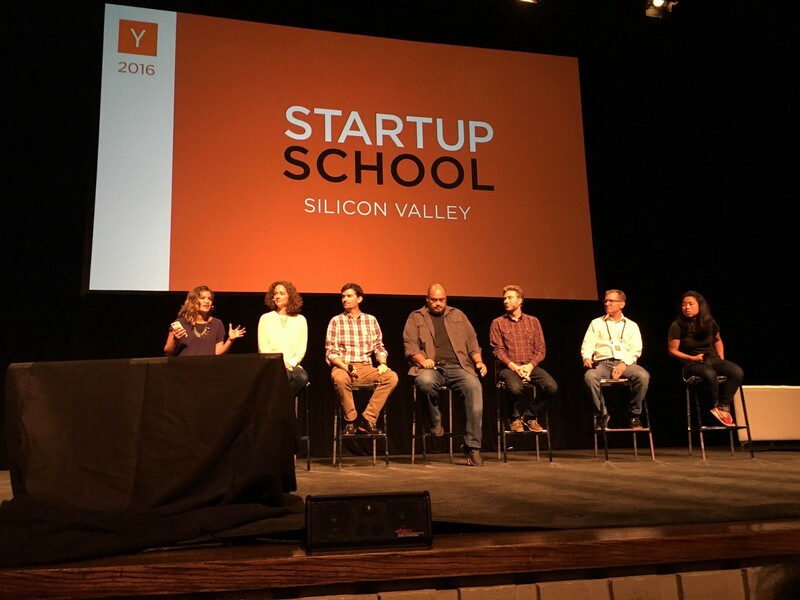 If you went to startup school or watched the live stream, share your favorites YC Startup School moment in the comments.